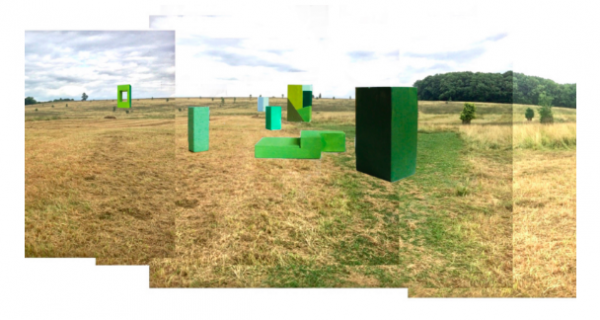 Green Dwelling has been imagined by Dutch artist Krijn de Koning, and will consist of a collection of differently-sized green blocks ranged across the Old Town Meadow. The blocks highlight the history of the land: once the site of the medieval village of Compton Murdak, the meadow was planted with elm trees in the 18th century, which were lost due to Dutch elm disease in the 1970s. Like a modern Stonehenge, the blocks playfully reference these lost histories. Paths and picnic benches are integral to the design, transforming the meadow into a destination to explore and enjoy.